The news story about the study is reprinted below. Taking common painkillers like ibuprofen raises the risk of being admitted to hospital for heart failure for a fortnight, the biggest ever study has shown. Researchers at the University of Milano-Bicocca in Italy found some non-steroidal anti-inflammatory drugs (NSAIDS) double the risk of heart problems. And even common drugs, like ibuprofen increase the chance of being admitted to hospital by 18 per cent for 14 days after swallowing. The authors say that it is now so easy to buy drugs in supermarkets that many people think medication is harmless but it could be dangerous for people with underlying heart conditions. 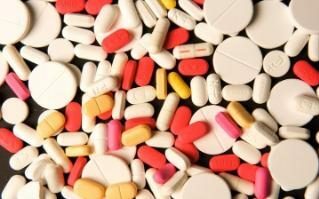 “This study offers further evidence that the most frequently used individual traditional painkillers are associated with an increased risk of hospital admission for heart failure. Moreover, the risk seems to vary between drugs and according to the dose,” said lead author Dr Giovanni Corrao. The findings are based on almost 10 million painkiller users from Britain, the Netherlands, Italy and Germany. The researchers found that the magnitude of risk varied between individual drugs and increased substantially at high doses. Heart failure is caused by a wide range of conditions, including high blood pressure, heart attacks, alcohol, and obesity. British experts said it was unlikely that painkillers could cause problems in people with healthy hearts, but they may unmask heart failure due to these other causes. Helen Williams, consultant pharmacist for cardiovascular disease at the Royal Pharmaceutical Society, said: “The study reinforces the need to carefully weigh up the risks and benefits of using NSAIDs. Measures to help reduce risk include using medicines with a lower risk of cardiovascular problems, minimising the prescribed dose to the lowest dose that is effective and where possible, limiting the length of time the patient takes the medicine. Prof Peter Weissberg, medical director at the British Heart Foundation, added: “Since heart and joint problems often coexist, particularly in the elderly, this study serves as a reminder to doctors to consider carefully how they prescribe NSAIDs, and to patients that they should only take the lowest effective dose for the shortest possible time. Spirals really are a magical thing. You have done your best on the internet to spread your knowledge.